You cannot go on like this. You must do something to discourage the Wargs from pursuing you further. 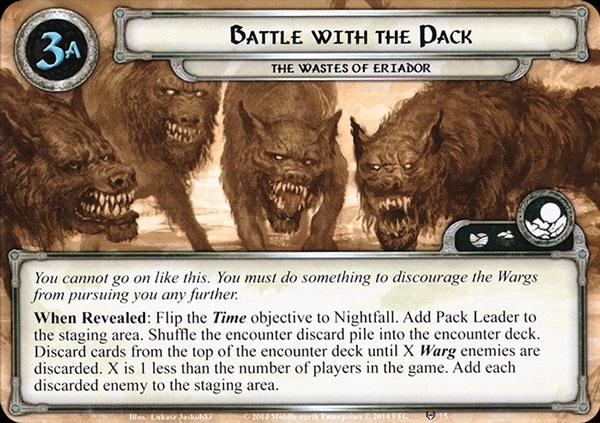 Pack Leader cannot take damage unless there are at least 5 progress tokens on this stage. Forced: When it becomes Day, discard all progress from this stage. The players cannot defeat this stage while Pack Leader is in play. 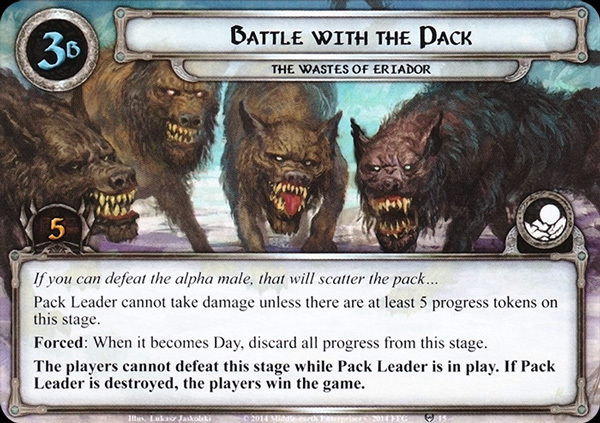 If Pack Leader is destroyed, the players win the game.